Inventory We are a resale marketplace, not a box office or venue. Ticket prices may exceed face value. This site is not owned by Jones Beach Theater . Northwell Health Theater at Jones Beach, formerely the Nikon Theatre, has been the premier outdoor venue in the New York metro area to catch the hottest summer concerts. 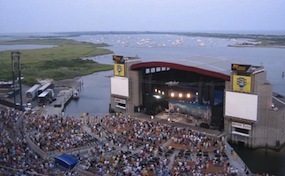 Northwell Health Theater at Jones Beach box office is located at the Jones Beach State Park, in Wantagh, New York. The Jones Beach Theatre has been entertaining audiences for over 50 years, opening in 1952. The amphitheatre was designed to the creator of Jones Beach State Park's specifications. The Northwell Health Theatre at Jones Beach tickets can cater to 15,000 seats and another 5,000 on the general admission lawn. The scenery surrounding the Jones Beach Theatre is stunning, helping to draw the biggest performers to the venue including the Jonas Brothers, Phish, Aerosmith, Jimmy Buffett, Rush, Coldplay, The Police, and more. NorthwellHealth.TheatreJonesBeach.com is not affiliated with any primary box office or supplier. We are independently owned and operated. Tickets may be above or below face value and all come with our unquestioned 100% authenticity guarantee. Ticket prices fluctuate with demand and will tend to be above face value. To order tickets for all Northwell Health Theatre Jones Beach events simply follow the steps online or call our operators, who are standing by, at anytime.